Xylanase is an enzyme used in bread making as a dough conditioner. Xylanase is an enzyme that catalyzes the endohydrolysis of 1,4-β-D-xylosidic linkages in xylan. Xylan is a major structural polysaccharide in plant cells. It constitutes the major component of hemicellulose, which is a component of plant cell walls. naturally present in all biological systems. They can be selectively isolated from plant, animals and microorganisms. Xylanase is naturally present in all biological systems. It can be selectively isolated from plants, animals and microorganisms. Xylanase breaks down the linear polysaccharide β-1,4-xylan into xylose. This releases water and makes it available for gluten hydration. Like other enzymes, it is sensitive to pH, temperature, moisture, ions and ionic strength, shearing and pressure. Xylanase functions best in the range of 30oC to 40oC (86oF to 104oF), and is usually denatured at temperatures above 45oC (113oF). Water-insoluble pentosans interfere with the gluten network. Xylanase can randomly hydrolyze the pentosan backbone and decrease its degree of polymerization. The use of xylanase leads to improved dough flexibility, machinability and stability, as well as a larger volume and an improved crumb structure.1 Too much xylanase results in a sticky dough that is more difficult to handle.2 The exact mechanism by which xylanase does this is unknown. Commercial production of xylanase is achieved from microorganisms, especially fungi. Xylanase is usually blended with other dough conditioners. Information on how to dose xylanase should be obtained from the technical sheet produced by the xylanase manufacturer, especially because different types and strengths of xylanase are available. Two forms of xylanase are listed as GRAS on the FDA GRAS Inventory: GRN No. 675 and GRN No. 472.3 Both are produced by Novozymes. Zheng, H., et al. “Improvement of the Quality of Wheat Bread by Addition of Glycoside Hydrolase Family 10 Xylanases.” Applied Microbiology and Biotechnology, vol. 90, no. 2, 2011, pp. 509–515, doi:10.1007/s00253-011-3088-7. Hilhorst, R., et al. “Baking Performance, Rheology, and Chemical Composition of Wheat Dough and Gluten Affected by Xylanase and Oxidative Enzymes.” Journal of Food Science, vol. 64, no. 5, 1999, pp. 808–813, doi:10.1111/j.1365-2621.1999.tb15917.x. U.S. Food & Drug Administration. “GRAS Notices.” Accessdata.fda.gov, 18 Aug. 2017, www.accessdata.fda.gov/scripts/fdcc/index.cfm?set=GRASNotices&sort=GRN_No&order=DESC&startrow=1&type=column&search=Intended Use%C2%A4VARCHAR%C2%A4enzyme. Accessed 7 Sept 2017. Having Problems Baking Clean Label Bread? Could This Ingredient Make People Eat Bread Again? What? A Non-enzyme Based DATEM Replacement? What Makes Clean-label Cakes so Hard to Bake? Have You Tried Baking with Oat Fiber? Finally, Clean Label Layer Cakes Without Chlorinated Flour! BAKED In Science S2E12: What are Enzymes? How Do You Keep Enzymes Alive? What’s the Future of Gluten-free Bread? Wondering How to Make a Successful Clean Label? Should We be Concerned About Enzymes? Can Whole Wheat Bread Taste Good? 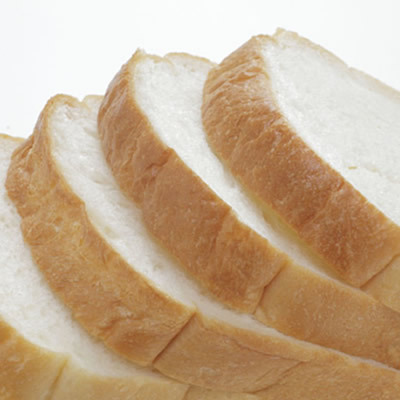 Is Staling Due to Moisture Loss Over the Shelf Life of Bread? Can You Name 15 Dough Conditioners?